Below you can find some of the group’s most beloved audiobooks and you can join a giveaway for an Audible audiobook of your choice. 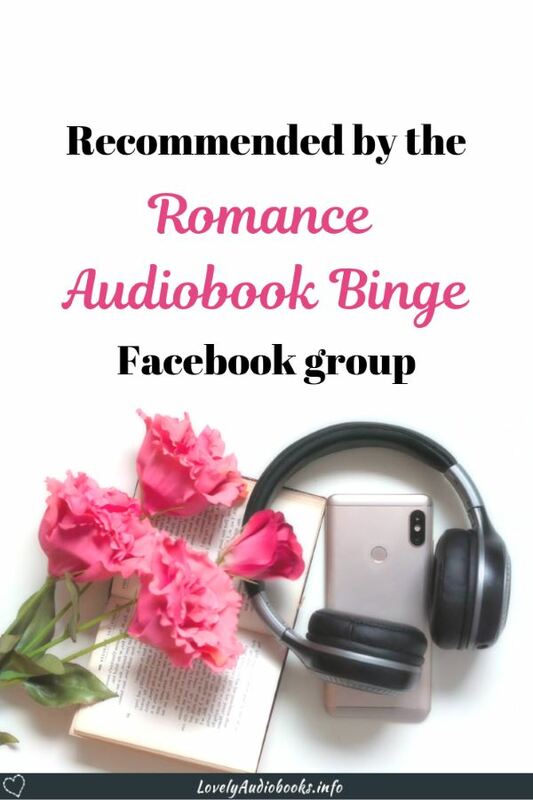 Romance Audiobook Binge is a Facebook group for audiobook recommendations. And our focus is on subscriptions that allow us to listen to MORE audiobooks! That means we mainly talk about the popular picks and the hidden gems in the Audible Romance Package and Kindle Unlimited, and post deals on audiobooks and what’s new in Hoopla. It’s an open and chatty place. But we also have weekly dedicated threads. On Sundays, we talk about the audiobooks we’re currently listening to. On Wednesdays, we share recommendations on specific tropes or topics (like bearded romance heroes or your favorite narrator). And on Fridays, I post the weekly deals and cheap or free new releases that you can also find in my Friday blog posts. 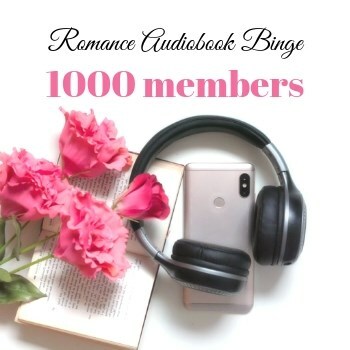 Below you can find a list of 15 Romance audiobooks that our group members love. And of course, all of them are either in the Audible Romance Package, free with Kindle Unlimited, or have a cheap Whispersync deal. That means that you can get the ebook and the audiobook together for less than the cost of an Audible credit. If you want to know more about getting audiobooks cheaper on Amazon, check out this post first. If you do at least one of the steps below, you enter the giveaway. The more you do, the better your chances! You can win 1 Audible.com credit for an audiobook of your choice!